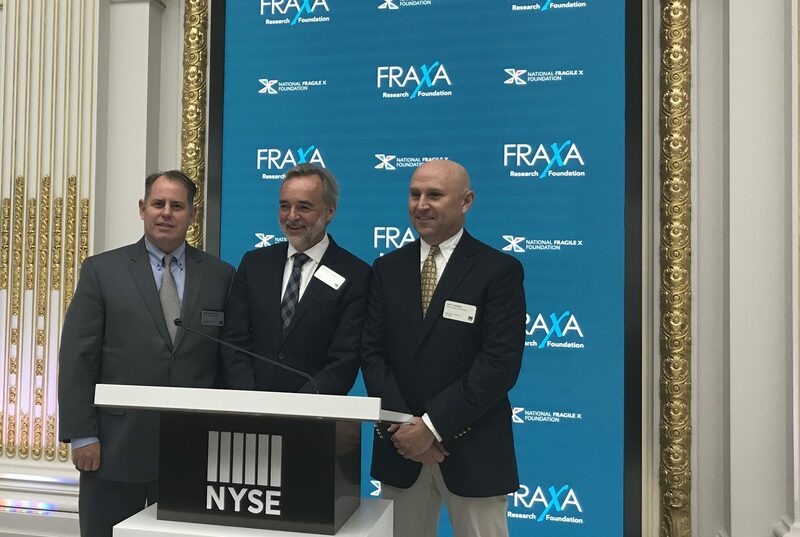 We are grateful to Lou Barbera, a trader at the NYSE, for inviting us to be a part of this incredible day. 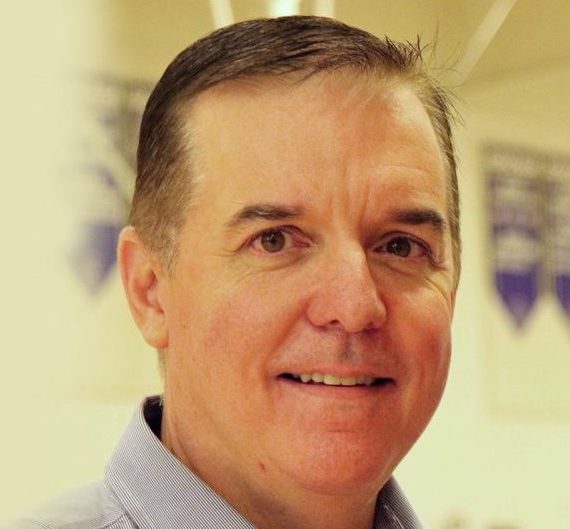 Lou is a parent of a son with Fragile X, and he coordinated the entire day and served as our host. Lou’s daughter Allison rang the bell in honor of her brother! 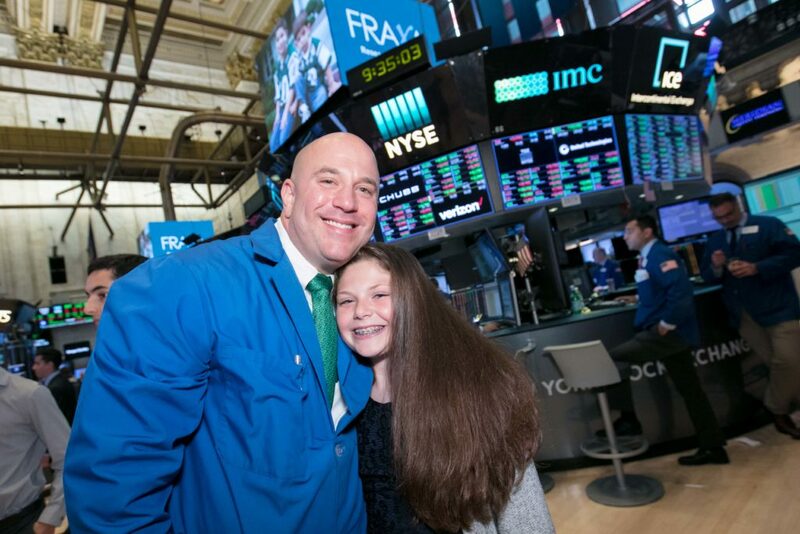 Thanks also to Erin Byrne and Chris Taylor from the NYSE for graciously making us all feel welcome. 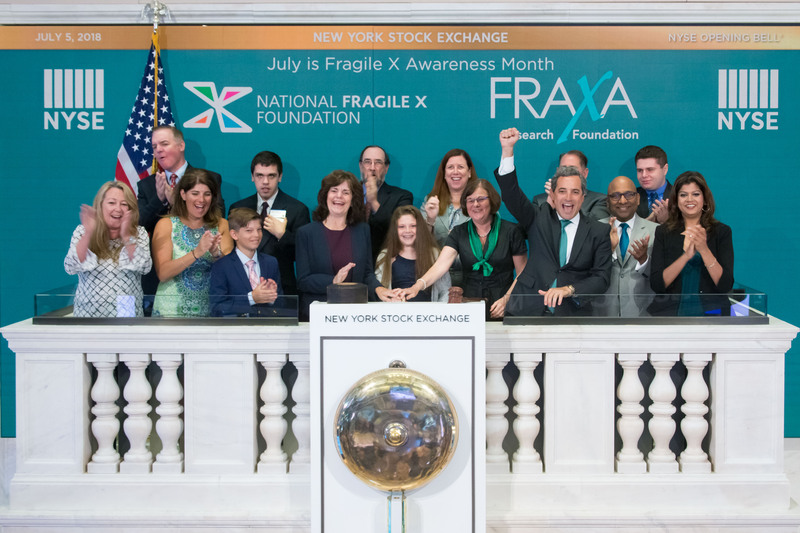 They helped get FRAXA and NFXF logos and photos of Fragile X children displayed on monitors all around the floor of the NYSE. And Chris joined seven friends of FRAXA on the podium above the floor where the actual bell is rung. 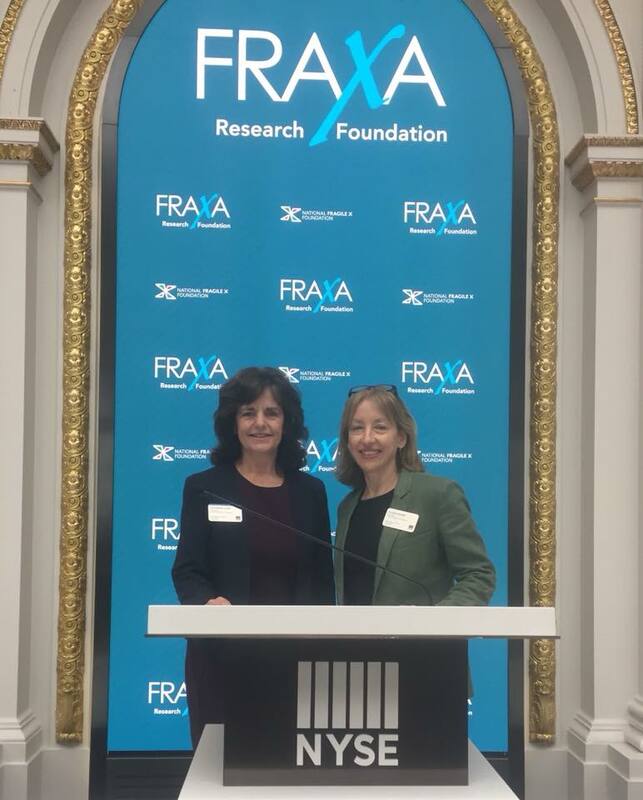 Following the opening bell, Katie Clapp and NFXF New York City chapter former parent leader Anita Abraham-Inz were interviewed live on Cheddar, a financial news network that live streams from the NYSE floor, about Fragile X and research for effective treatments and, ultimately, a cure.